tryb Group announces investment into First Circle, a Philippine-based fintech firm that provides supply chain and trade financing to SMEs. First Circle raised US$26M for the Series A funding round which included Venturra Capital, Insignia Ventures Partners, Silverhorn Investment Advisors and tryb Group. 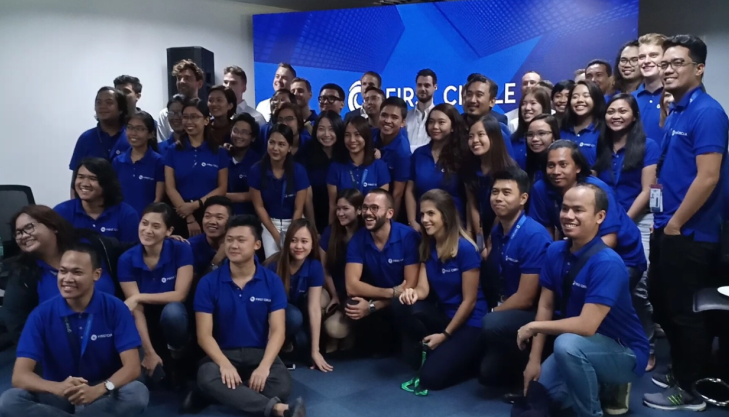 Singapore, 4 October 2018 – First Circle, a pioneering lending platform dedicated to small and medium enterprises (SMEs), has secured an additional US$26 million in a Series A funding round. International firms Venturra Capital, Insignia Ventures Partners, Silverhorn Investment Advisors and tryb Group led the round, underscoring strong interest from a diverse set of investors. First Circle’s platform automates processes and enables cost-effective service delivery while capturing and utilizing demographic, trade and behavioral data. This enables automated, smart and data-driven decision making. They are looking to increase their capital base to over US$100 million next year to keep up with SME demand for financing in the region. First Circle’s vision is to be more than a lending company but to support sustainable capital provision enabling businesses to prosper, expand and improve the livelihoods of the SME owner and their employees. On tryb’s investment, “tryb’s approach and focus on fintech aligns with our vision. We look forward to working with their team by leveraging their expertise and network,” stated Patrick Lynch. First Circle is a Philippine-based fintech firm that provides supply chain and trade financing to SMEs. tryb is an investor focused on ASEAN financial technology (fintech). Based in Singapore, tryb is positioned to leverage Southeast Asia as the next frontier for fintech opportunities and backs entrepreneurs transforming financial services in the region.